Yes it's captain Jack Sparrow. It's not Johnny Depp though, but Tay Runo. The beautiful lady at his side is Jojamela Soon. The picture is taken by Paisley Beebe at Sailor's Cove. Do have a look at Paisley's Flickr Photostream as there is a ton of really great pictures of Second Life, utilising almost every option provided by the WindLight client. One of the funny things of taking a 1-week holiday is that it seem like you've got a year of catching up to do once you get back. 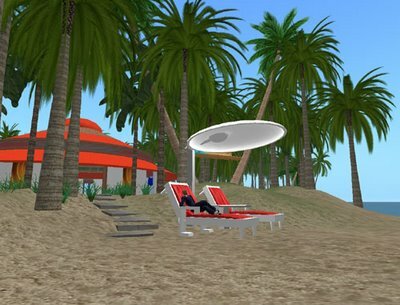 One of last weeks noteworthy tidbits is a post in the Boston Globe that Linden Labs purchased Windward Mark Interactive LLC, a Waltham company founded in 2003 by five Harvard University students. So what do the windward souls do? They're in the business of creating highly realistic three-dimensional environments for use in computer games and flight simulators, and lighting is one of their strong points. There are people out there that look down on Second Life as a "game with bad graphics", and true enough, it's not as slick as World of Warcraft and Cory Ondrejka, Linden's CTO believes that making the environment more visually realistic will attract and hold more users. However, there are serious points to validate a "crude" graphic engine. 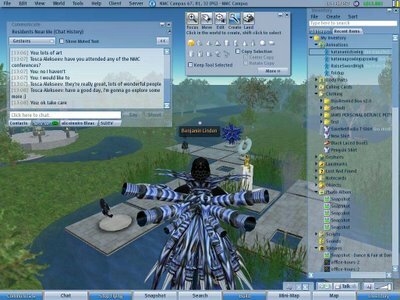 Linden's USP is that Second Life is a world with easy tooling, generating vast amounts of user generated content. Sculpted prims and enhanced graphics may 'beautify' the world, but it will require more skills and perhaps even put more stress on datatraffic. And then there's the Project Open Letter to remember. Linden's key focuspoint should be scaling, stability and adding test strategy and release management before getting into introducing all kinds of new slick things. 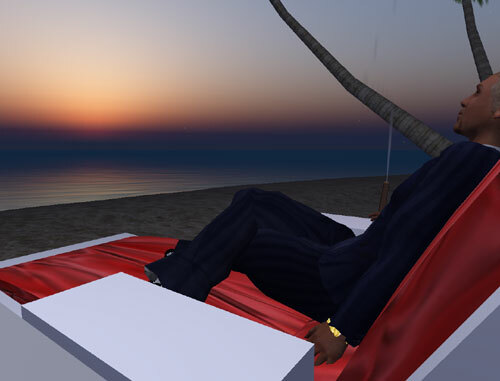 At youTube there's a vid of a new Second Life sky to demonstrate the power of Windward.